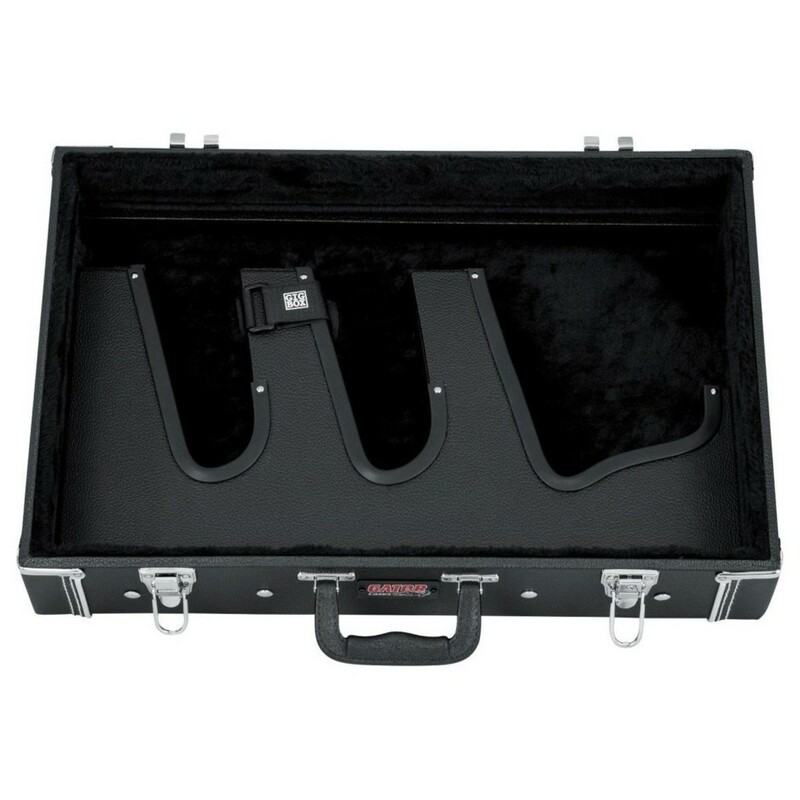 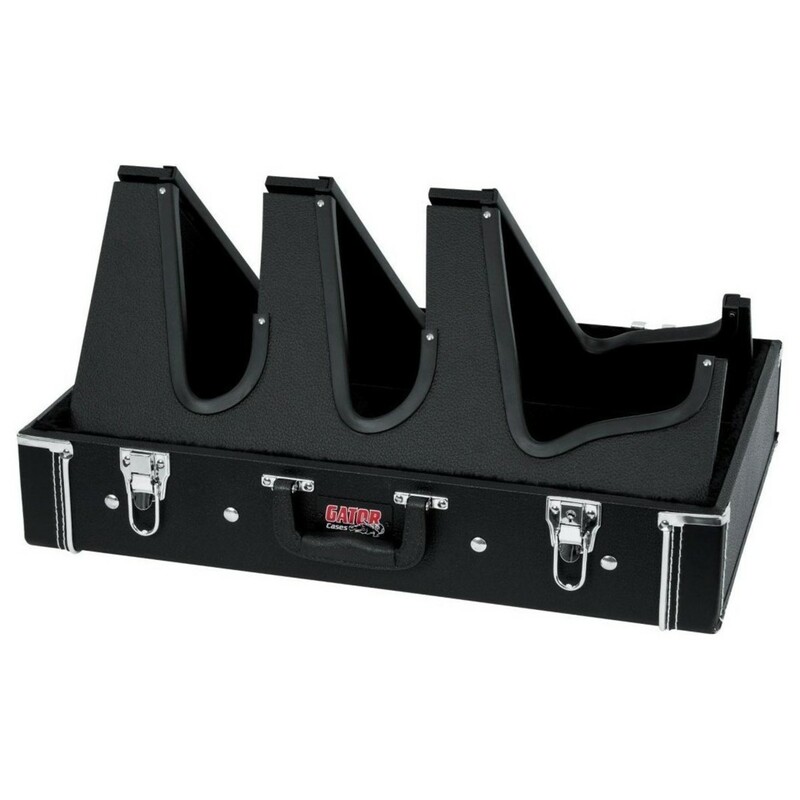 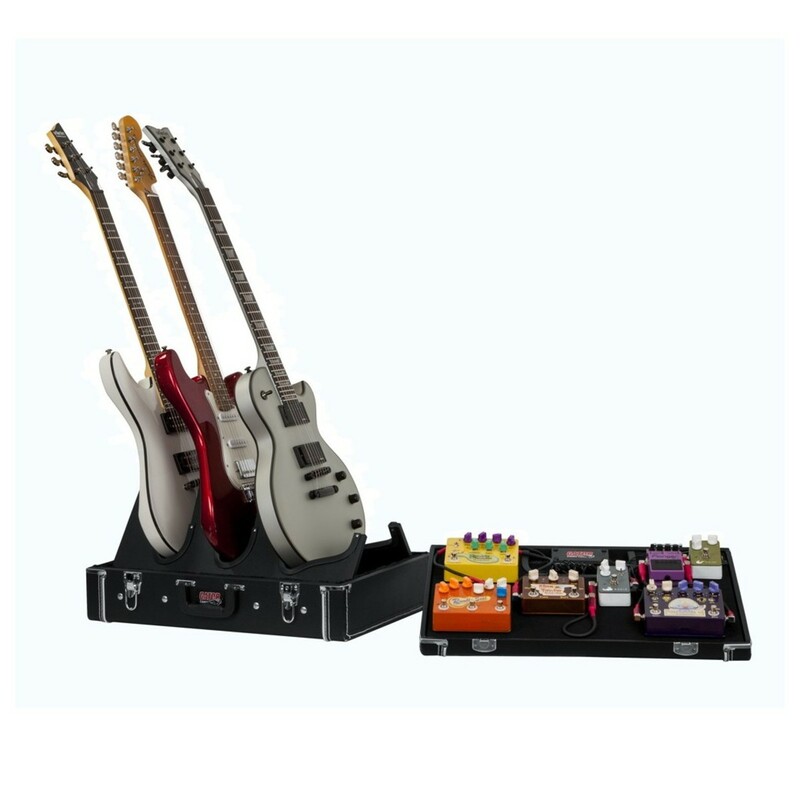 The Gator GW-GIGBOXJR Pedal Board/Guitar Stand Case is an all-in-one 3 x guitar stand and pedal board case, designed to transport and protect your gear. 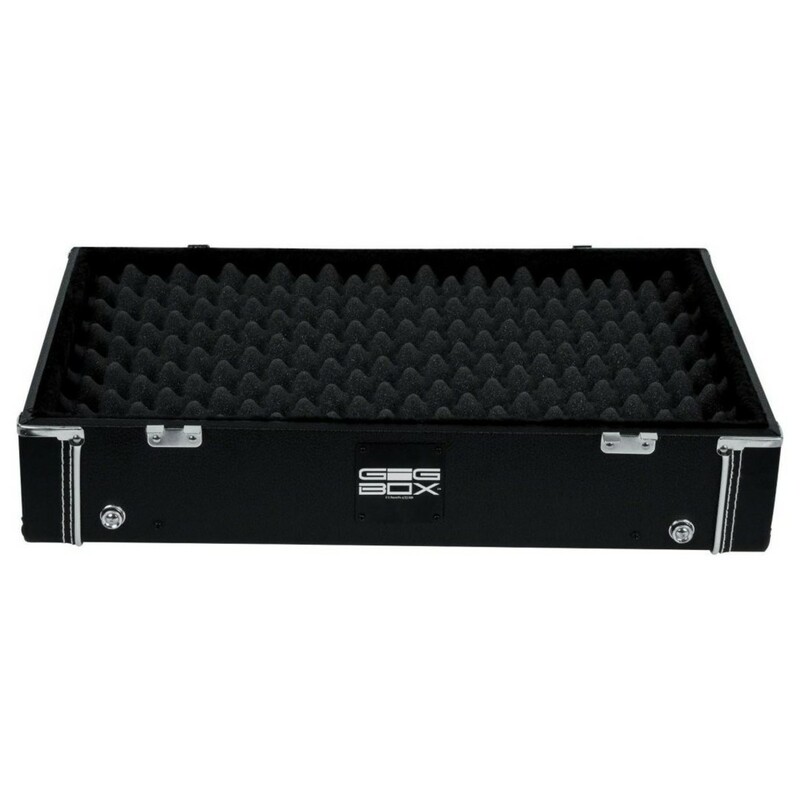 This case features a 21.25'' x 15'' pedal board surface, allowing you to attach your pedals using hook and loop fasteners. 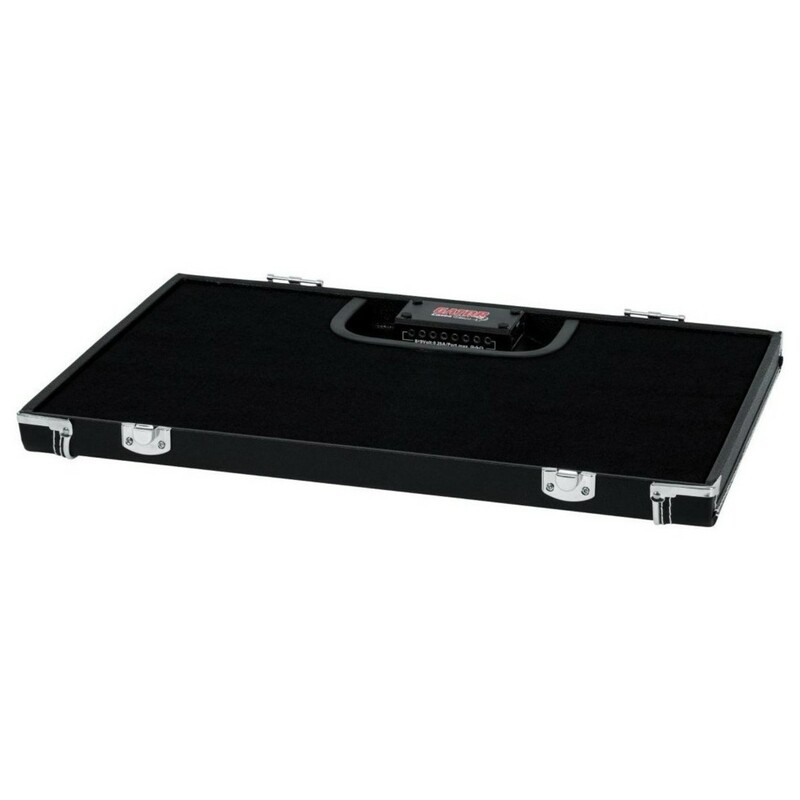 The board has a recessed section for a mounted power supply. 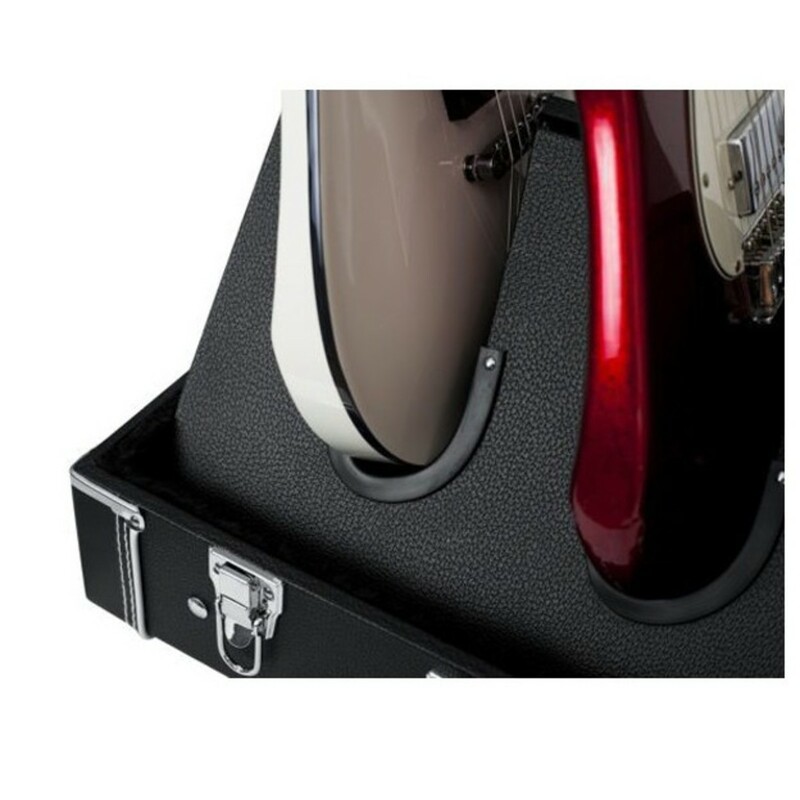 The lid of the case can be converted to hold 3 x electric guitars or 2 x electric guitars and 1 x acoustic guitar. 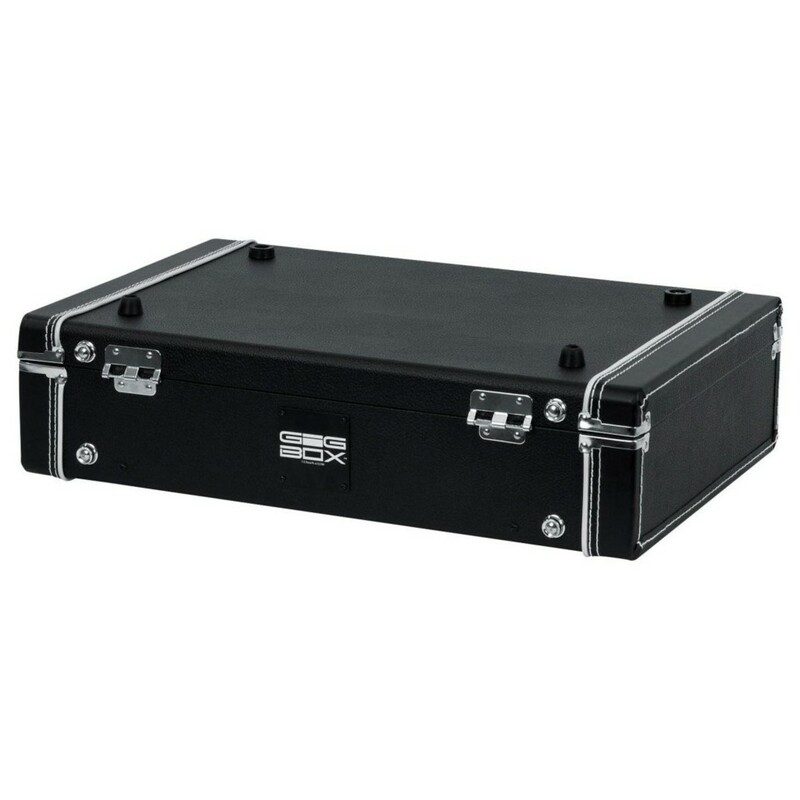 The interior of this Gator case is lined with carpet, providing cushioning protection during transit. 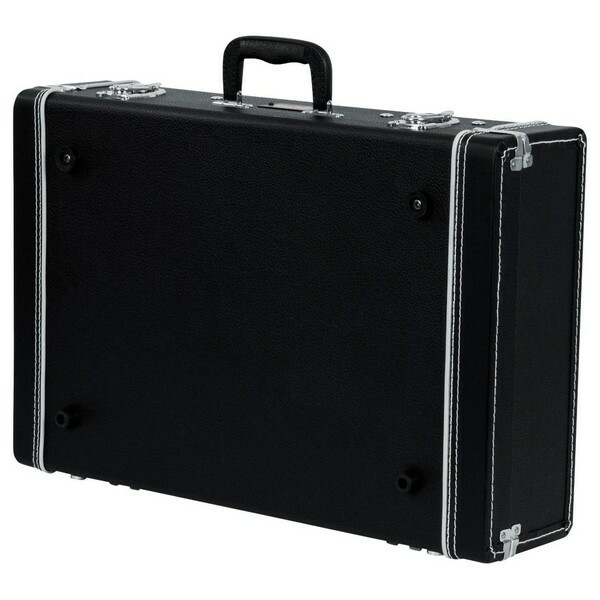 The case has a black Tolex exterior for a classy look.